After a four-year stint in Shanghai as an Area Manager for a café, Ros returned to Manila and became a full time social media strategist. But as much as the social media industry did pretty much everything online, she also saw the need to get people together offline. To bring people together, Ros organized events and meetups for various interest groups and saw the need for a venue to host such gatherings. And that's how Commune came about. Commune takes pride in its coffee but it really is about so much more. It's a community hub, a place where you can make real life connections, where great conversations are started and where ideas are formed. It's also a respite from the daily hustle and bustle of the CBD, a refuge where you can take time to slow down a bit and enjoy comfort food with really good coffee. 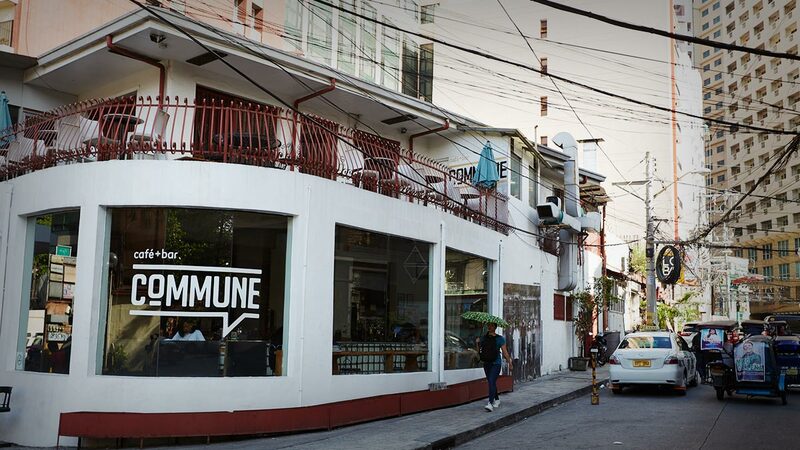 Commune is about coffee and the connections it fuels, which is why it welcomes communities and start-ups. Commune is also particularly proud of its Philippine coffees. Ros joins PCBI in its coffee farm visits and sources coffee through them. 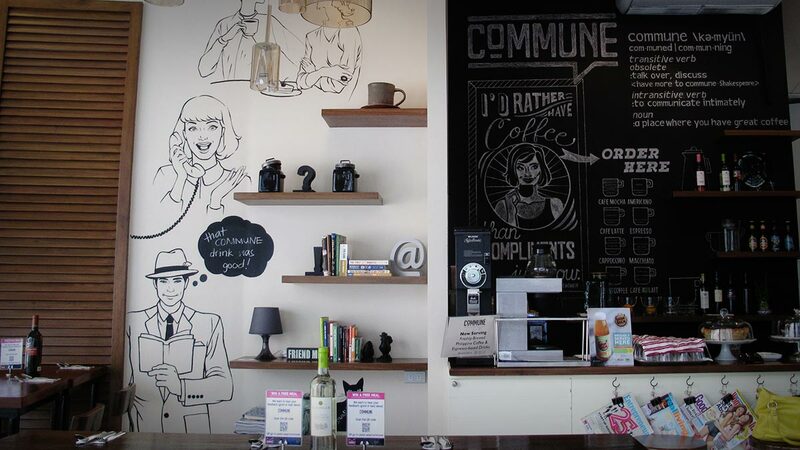 Since its opening, Commune has only featured local beans in its menu and plans to keep the spotlight on local coffees. It serves its own blend of coffee, the Commune blend, which is a blend of Arabica beans (which give flavor and aroma) and a bit of Robusta (for the caffeinated kick). The café also uses single origin beans from Mount Matutum, Mount Kitanglad and Sagada and other Arabica growing regions in the Philippines. Ros envisions Commune to be a champion of Philippine coffee and a hub that will cultivate collaboration within and among various communities. After all, the word “commune” means to talk over or discuss. But it may well mean a place where you can have great coffee. Commune is located at 36 Polaris cor Durban Sts., Poblacion, Makati City. The Philippines is one of the few countries that produces the four species of coffee: Arabica, Liberica (Barako), Excelsa and Robusta. Climatic and soil conditions in the Philippines - from the lowland to mountain regions - make the country suitable for all four species. At Commune, we take pride in using only high quality beans, sourced directly from farmers, in various coffee-growing areas in the country like Benguet, Sagada, South Cotobato, Kapatagan and Bukidnon.